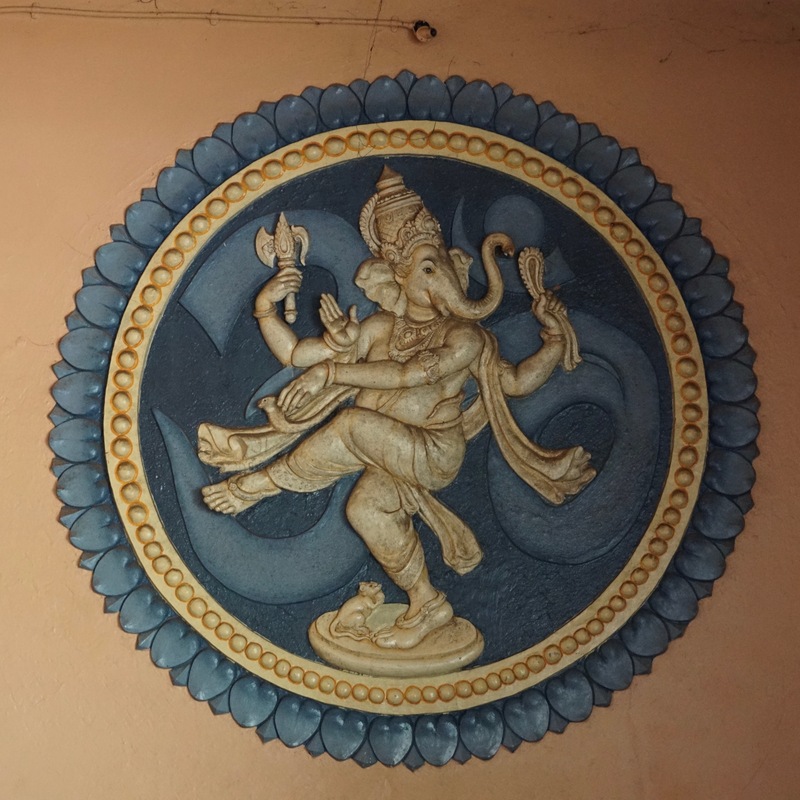 There was nothing else to do in Udupi. In order to utilise the entire day, I had asked our hotel to arrange for a cab at 8:00 in the morning. However, the cab wasn’t ready until 9:00. We decided to finish our breakfast in Udupi before checking-out and leaving. 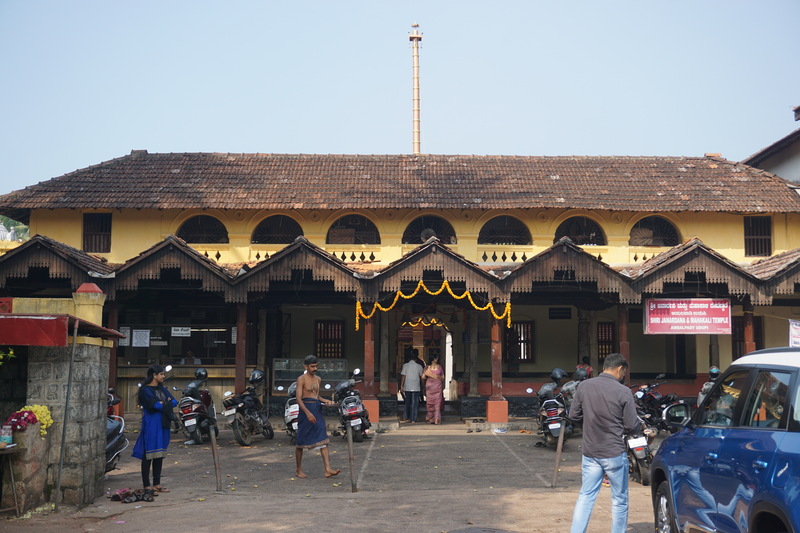 A nice Udupi style breakfast joint called Mitra Samaj inside the temple complex came to our rescue. We visited four temples in succession. 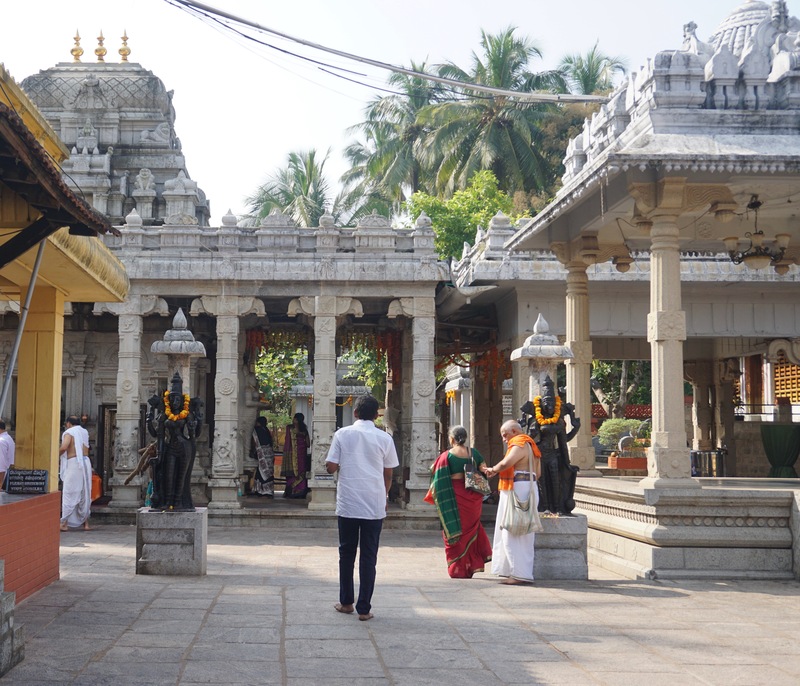 One thing about these temples in Karnataka is that they are scattered. There are buses that connect these places. However, the best way to visit them is by driving. 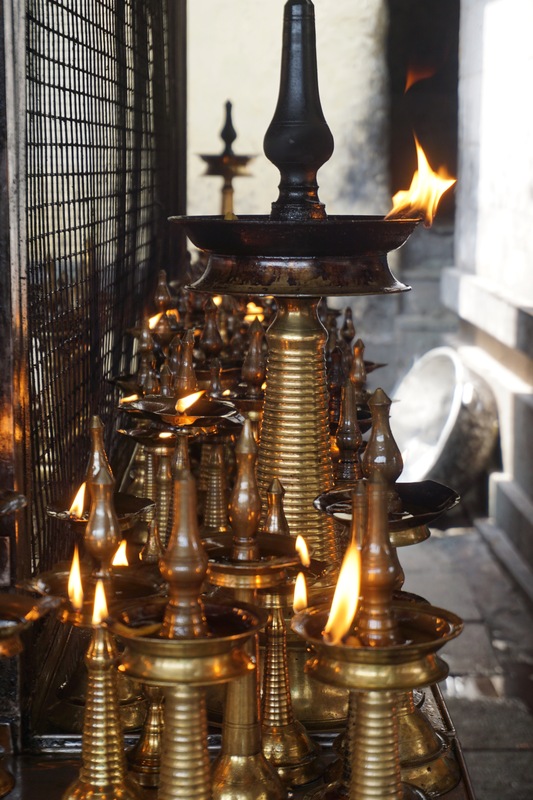 There are settlements that have cropped up around these temples and cater to the local economy. In general, there aren’t many things of interest around these temples. 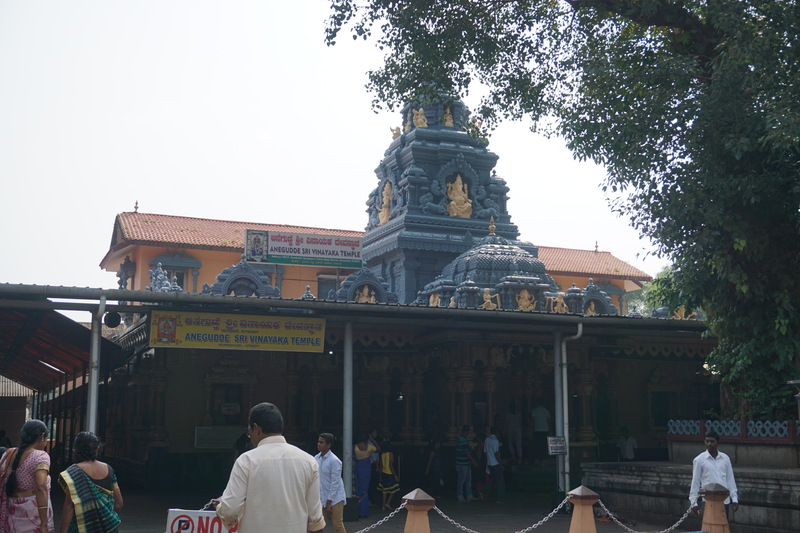 Ambalpady temple is located close to Udupi. We were early. There weren’t too many visitors. We spent quite a bit of time inside. Our driver then took us to Anegudde Hanuman temple. We were there by 10:15 am. The Sun rays were yet to become unbearable. A nice spread of greenery around the temple kept the area cool. This beautiful mural was on one of the walls. The driver took a detour from the National Highway and drove through Mookambika Wildlife Sanctuary to reach Kollur. Kollur is located in the heart of Karnataka, yet Malayalam texts are prominently visible in almost all road signs and notices. A lot of Keralites come to this place. 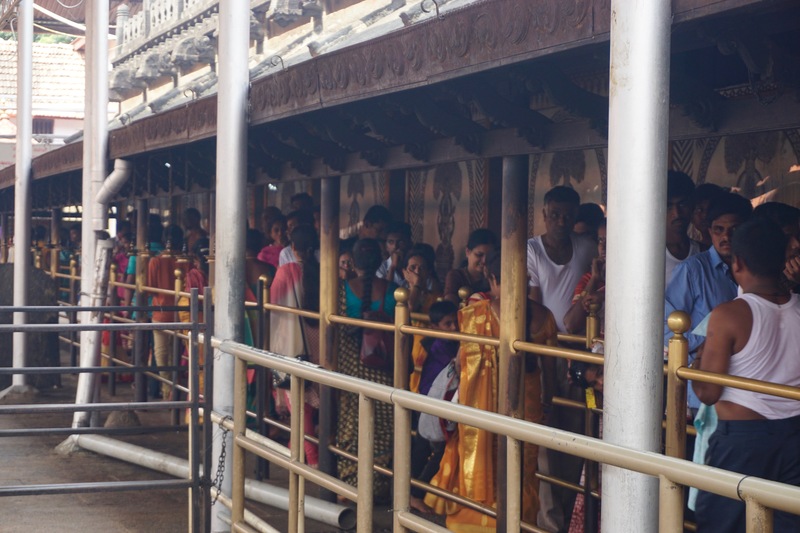 There was a long queue in Kollur temple. There is a restriction on what can be worn inside the temple — we did not enter the inside of the temple at all. Instead, my mom lit a lamp (for which they charged some money). We were fortunate enough to reach Murdeshwara sometime around 2:30 pm. The temple closes at 1:00 pm and re-opens at 3:00 pm. There wasn’t much of a crowd when we entered. By the time we were done visiting the interiors of the temple, there was a long queue for catching a glimpse of the idol. 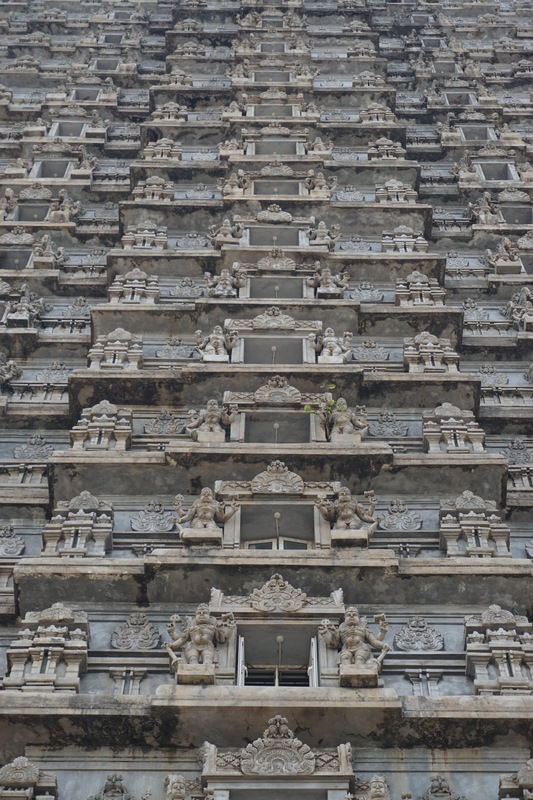 There was an even longer queue for the lift that takes one to the top of the tall gopuram. 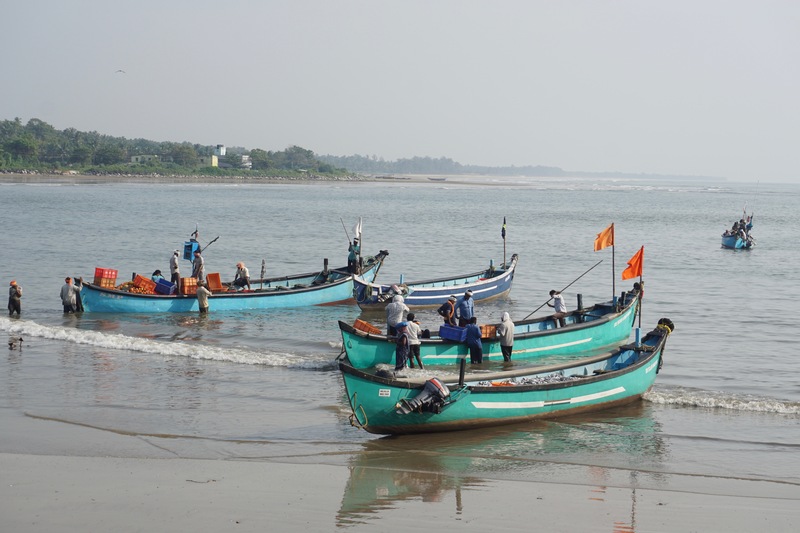 The beach at Murdeshwara wasn’t as good as Tannirbhavi in Mangalore or Malpe in Udupi. Still, devotees flocked in the hot sun to entertain themselves with some standard water-sports on the northern side of the temple. This made the beach much more crowded than the ones that I have mentioned earlier. Southern side of the beach is for fishermen. With no tourists in sight, it’s very serene and peaceful. 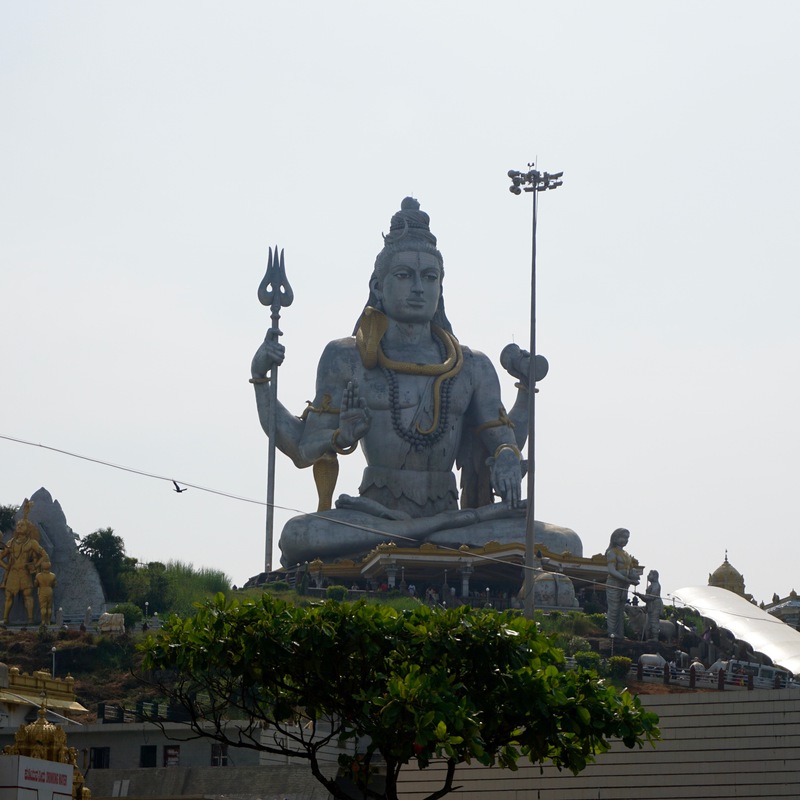 What I did not like about Kollur and Murdeshwara is the over-commercialisation of the places. Not to mention, these places are over-crowded, too. 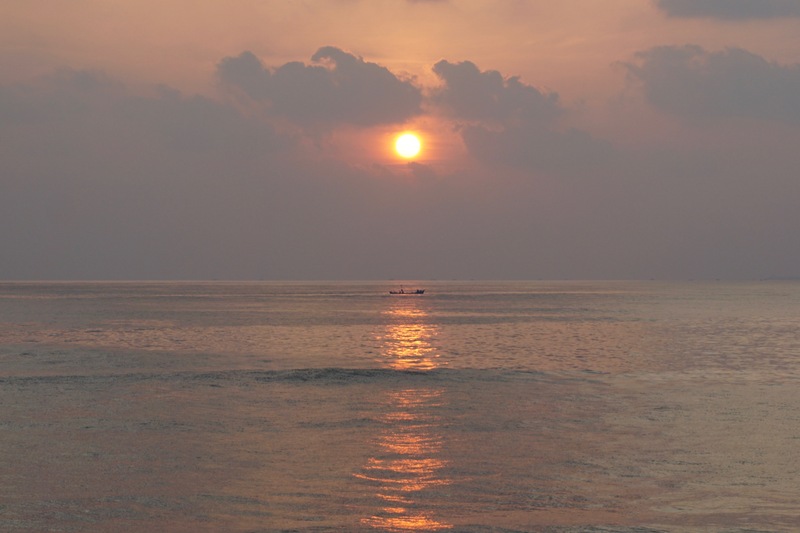 On our way back, we stopped and saw a glimpse of the setting sun at Maravanthe beach. This place is right beside the highway. There weren’t too many people either, which made it an excellent place to catch some nice and cool sea breeze. The cab driver dropped us at Service Bus Stop (There are two more in Udupi — City Bus Stop and Government Bus Stop). We had ample time to re-visit Woodlands Restaurant for some dosa (thus, keeping our dinner light) before embarking on a bone shattering journey back to Bangalore. Note: This blog entry documents our trip on October 22, 2017.